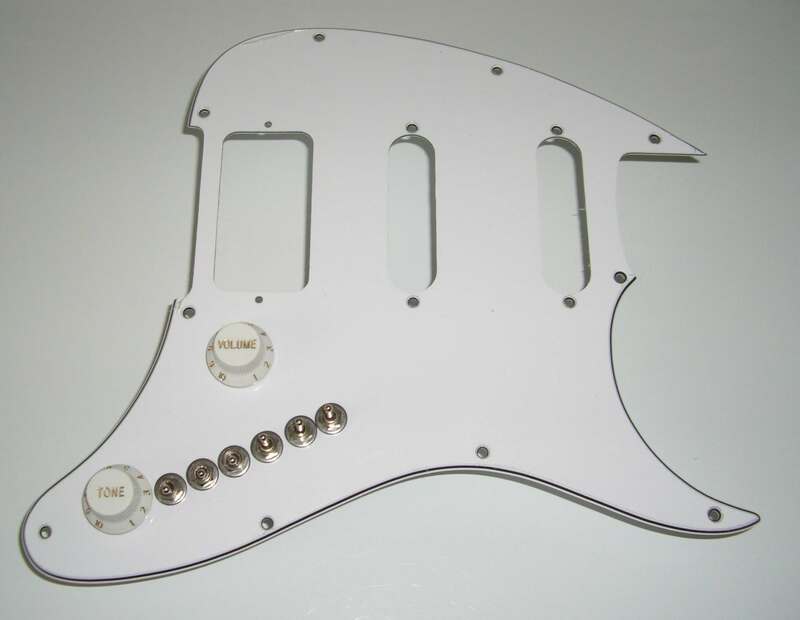 This White Peavey Raptor PLUS upgrade gives you 35 pickup tones. 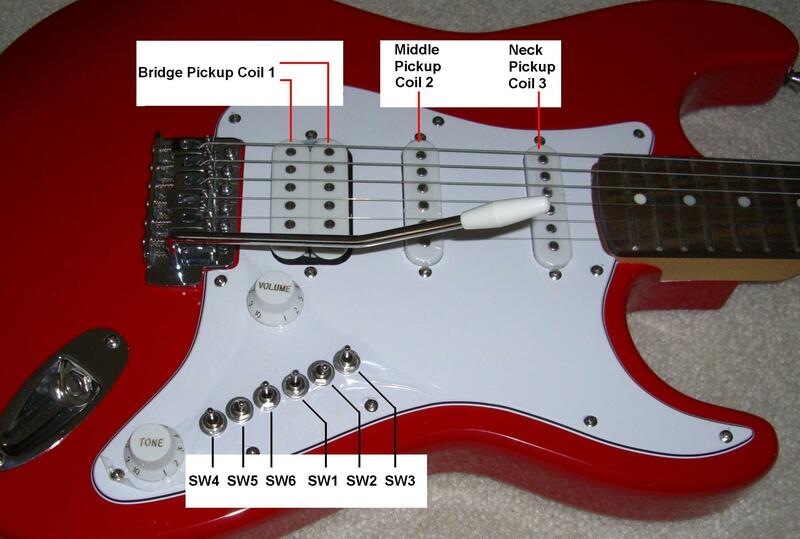 This EZ-Install upgrade for your guitar gives you complete and total control over your pickups. And because you can independently control each pickup, you can turn each one on in normal-phase or reverse-phase, and you can also put them in parallel-connection or series-connection with one or more pickups. The bottom line is that you can get more pickup tones from your guitar that currently gives you only five pickup tones. When used In The Studio, your AweSome upgraded guitar will have an incredible spectrum of 35, 68 or 102 unique pickup tones that are impossible to produce with a "stock" instrument. You get 35 pickup tones with this upgrade. This page has MP3 audio clips to let you hear the result our T3-Switch upgrade offers you. One White Peavey Raptor PLUS Upgrade complete with our T3-Switch and VT-2 Volume/Tone control. 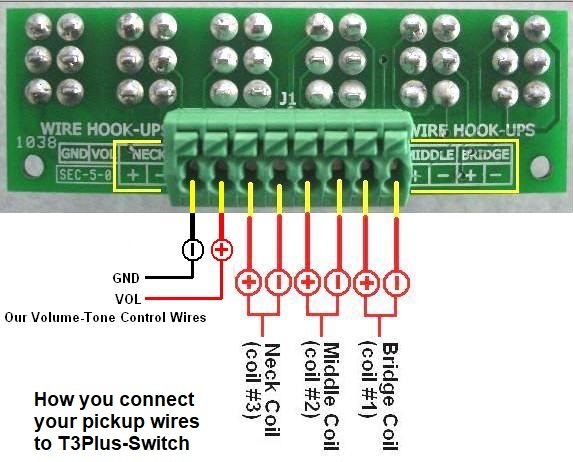 You connect your pickup wires to the green solderless terminal strip and the two marked upgrade wires to your output jack. This upgrade gives you 35 pickup tones. Note: This Is A Special Order Item and will Take approximately two weeks to be shipped.